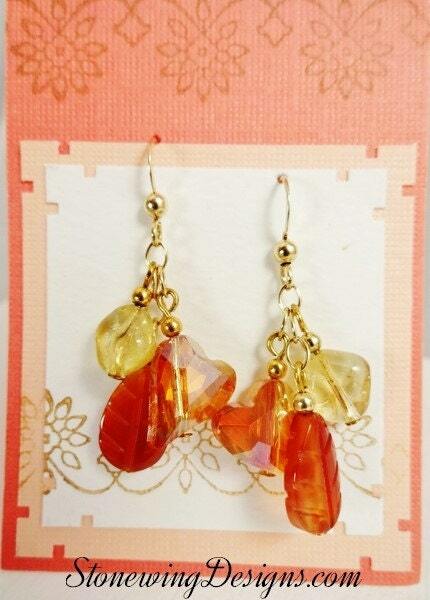 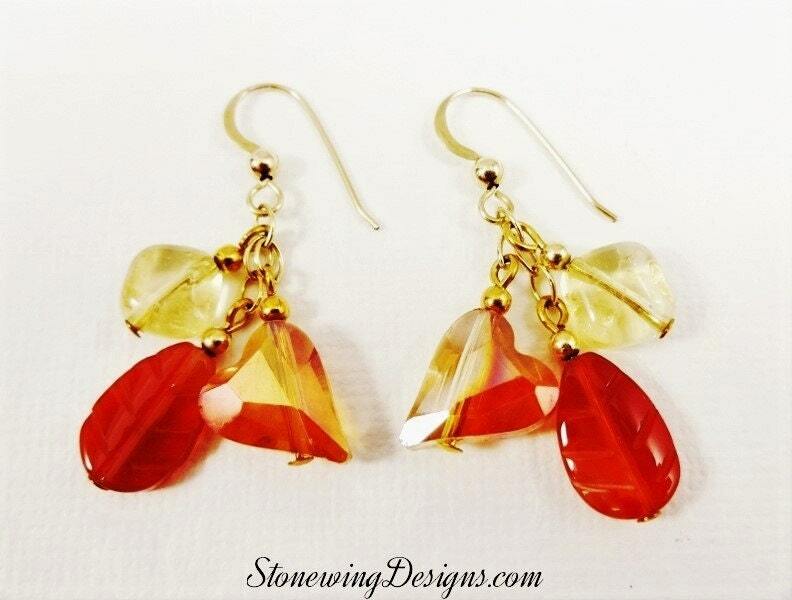 These striking earrings feature Carnelian leaves, Citrine diamonds and orange crystal hearts with gold chain and accent beads. 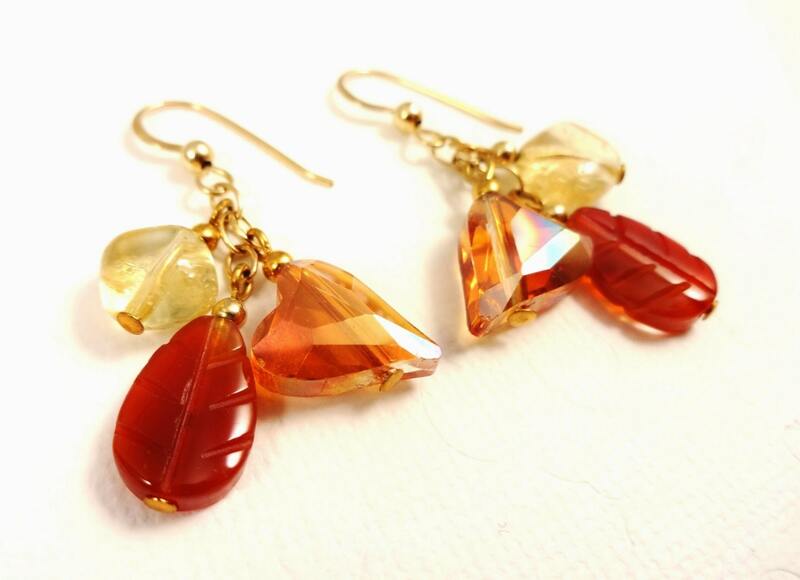 Great yellow, orange and rust colors for fall! 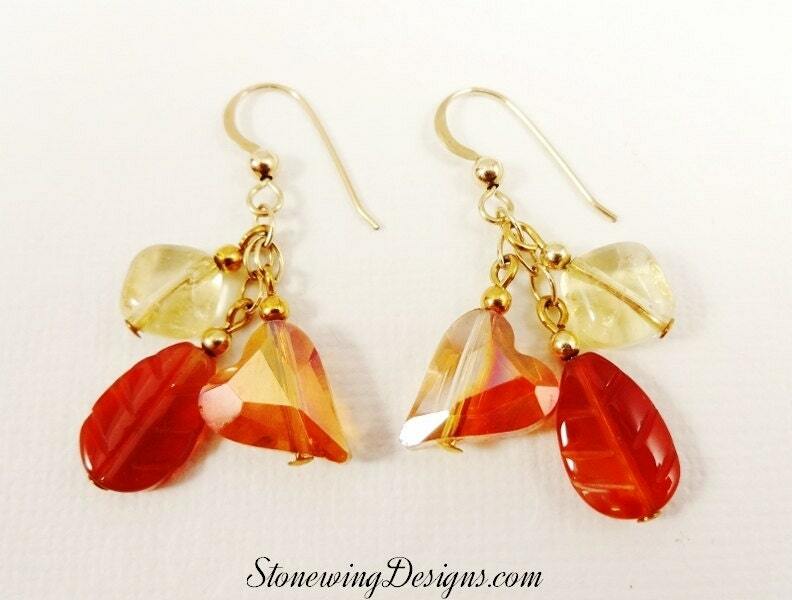 Shown with 14k Gold Filled Gold French hooks.